Many restaurants that serve wine offer suggestions for food and wine pairings. The problem is that if you do not know anything about pairing food with wine, this can be incredibly problematic. After all, some people dedicate their lives, or large chunks of it, to becomin g wine experts and knowing their intricate flavorings, while most do not.. The good news is that while this training certainly gives one an advantage, just knowing a few simple things can be enough for most restaurants to offer great suggestions when it comes to which wine goes well with which meal. 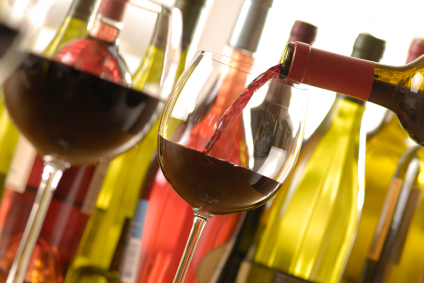 This will help increase consumer interest in purchasing wine with their meal and hence increase wine sales. Here are some tips to keep in mind that can help you and your staff make the right pairings. One of the most important considerations when creating pairings is to find a good balance between the food and the wine. To do so, focus on the weight of the food items, meaning the richness or body. The best pairing would be equal in terms of weight so that both the food and the wine can hold their own. An example would be pairing a hearty wine such as Cabernet Sauvignon, with hearty foods like grilled lamb chops. A delicate wine, like a light Soave, would do better with a poached fish that is subtly flavored as both elements are very delicate. The hardest part of this process for most people is to figure out the weight of the items. For the food, pay attention to the fat content and for the wine, either look at a list of wines or consider color, alcohol level and the variety of grape. If you find it too overwhelming to consider the overall weight of the food and wine, then instead of looking at the dish as a whole, simply pay attention to the most prominent element. Ideally this should be done after taking weight into consideration, but it is still possible to get great results by simply doing this step. It is a great way to fine-tune any wine pairing choice. When looking at the most prominent element of the dish, pay more attention to the cooking method, seasoning or sauce than at the protein. For example, Chicken Marsala has earthy flavors that would do well with a soft and supple red wine, while a poached chicken breast with a lemon creamy sauce would be better with a fresh white wine. Once you have mastered examining the balance and the prominent elements in wine pairing, it is time to look at the structure and texture of both items. This is crucial for perfecting the technique of making food and wine pairings, as many things can affect how sweet, acidic or bitter a wine is. If a dish has many acidic ingredients, then it can go well with wines that have a correspondingly high amount of acid as this will make the dish seem softer. Similarly, sweet foods go well with sweeter wines, but only if there is some element of natural acidity within to balance it out (such as in a German Riesling). Wines with tannins are a bit more complex as spice, salt and fat can all affect the flavor of the wine, so it is best to go with professional pairing for these wines. Another great option to help you make food and wine pairings is to taste the wine and see what it reminds you of. Most wines will remind the drinker of an herb, spice, fruit or butter. If you taste a wine and get a sense of a flavor, pair it with a food that contains the same flavor. One thing to remember, however, is that sometimes when pairing using this method the similar flavor will be cancelled out, enhancing the other flavors in the dish. The final thing to consider when making food and wine pairings is the age of the wine. When wine matures, flavors and textures will change in several ways. Tannins tend to soften which in turn makes the wine more graceful and delicate. A wine that was fruity may become earthy and savory. Because of this, if you have an older wine on hand, try to pair it with a dish that does not have as many flavors; this will allow the subtleties of both the food and the wine to shine.